If you’re searching for a divorce mediator, you’re already on the path to a simple and amicable divorce. With divorce mediation, you can avoid the cost and conflict of a courtroom divorce, enjoying the benefits of working with someone who can help you and your soon-to-be-ex spouse come to a mutual divorce agreement that you both can agree to. However, when there are children involved in a divorce, the process automatically becomes more complicated, more heated, and more emotional for everyone involved – including the child. In order to make sure that your divorce affects your child as little as possible, and to eliminate as many negative consequences of divorce that you can, consulting a divorce mediator is crucial. At Johnson Mediation, our Chanhassen, MN divorce parent mediation services help divorcing parents come to fair agreements about their divorce, including all questions you and your spouse have about child rearing. Unfamiliar with the divorce mediation process? Want to know how divorce mediation works with children? At our mediation center, we help facilitate productive conversation between you and your spouse that involve every topic to consider during your divorce, including property division, child and spousal support, child custody, and more. Divorce mediation with children allows you and your spouse to openly communicate in a neutral setting with a neutral party – your mediator. As mediators, we won’t take sides; we’ll simply help you find the most legally equitable solution to every issue that arises during your divorce – even if one or both parties in a divorce are prone to arguing. 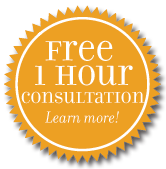 We will help decrease arguments as much as possible and keep conversations on track to resolve your divorce quickly. In only a matter of a few sessions, usually lasting a month to 6 weeks, we’ll be able to finalize your divorce agreement and send you on your way without any of the battling that goes on in court. How Does Divorce Mediation Help Parents? When there are children involved in a divorce, the process becomes more emotional and more complicated, but not impossible. Although neither parent will want to give up custody or time with their child, a mediator will help you and your soon-to-be-ex spouse come to a legally equitable parenting agreement. That means making decisions that will benefit your child and would be determined fair by a judge. We will help you work through complex issues like parenting time and custody, parenting scheduling for holidays and school breaks, child support, and division of property that may relate to the child, including a child’s furniture or a home itself. Although these issues may seem impossible to resolve now, once you begin working with our mediators, you’ll see that a quick and simple divorce is possible if you’re willing to work for one. To find out more about our divorce parent mediation services in Chanhassen, Minnesota and how divorce mediation can help you, contact Johnson Mediation at (952) 401-7599 or jeff.johnson@johnson-mediation.com today.